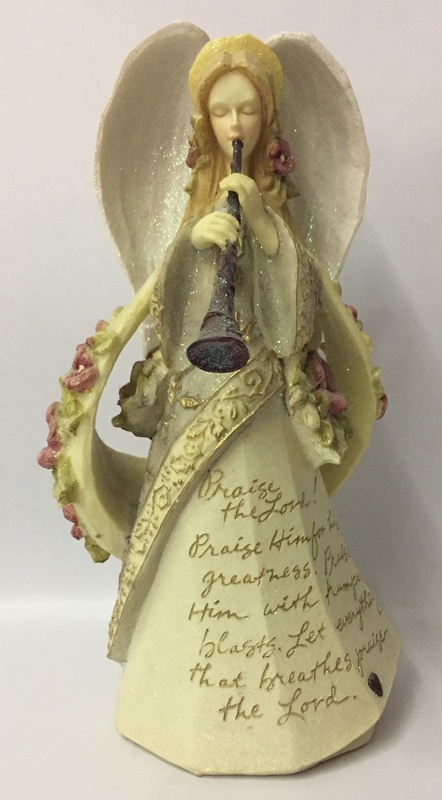 Enesco Foundations Angel with Horn Figurine. "Praise the Lord! Praise Him for his greatness. 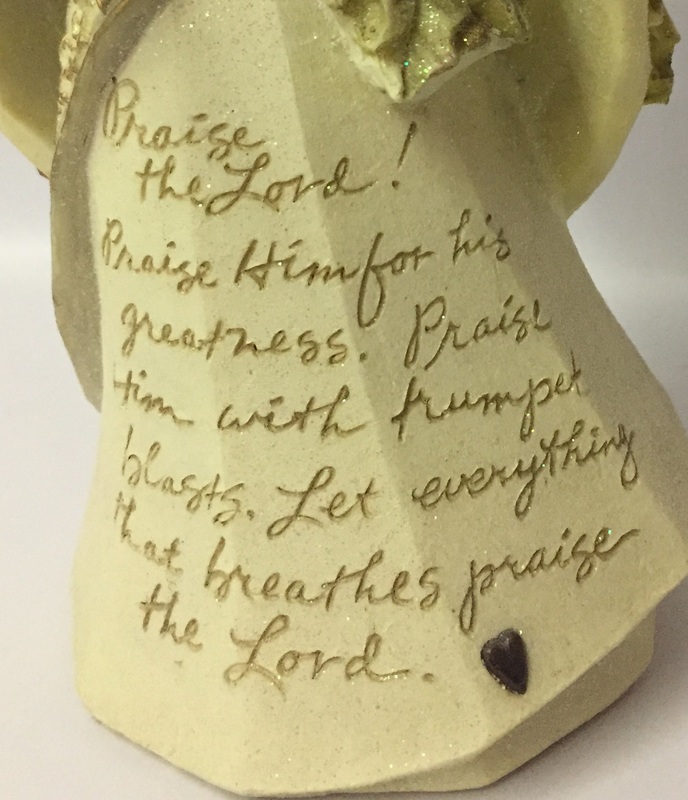 Praise Him with trumpet blasts. Let everything that breathes praise the Lord." 9"